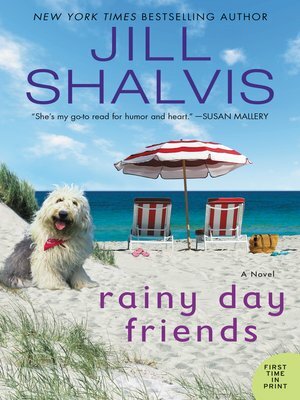 Following the USA Today bestselling author of Lost and Found Sisters comes Jill Shalvis' moving story of heart, loss, betrayal, and friendship. Six months after Lanie Jacobs' husband's death, it's hard to imagine anything could deepen her sense of pain and loss. But then Lanie discovers she isn't the only one grieving his sudden passing. A serial adulterer, he left behind several other women who, like Lanie, each believe she was his legally wedded wife. Desperate to make a fresh start, Lanie impulsively takes a job at the family-run Capriotti Winery. At first, she feels like an outsider among the boisterous Capriottis. With no real family of her own, she's bewildered by how quickly they all take her under their wing and make her feel like she belongs. Especially Mark Capriotti, a gruffly handsome Air Force veteran turned deputy sheriff who manages to wind his way into Lanie's cold, broken heart—along with the rest of the clan. Everything is finally going well for her, but the arrival of River Brown changes all that. The fresh-faced twenty-one-year old seems as sweet as they come...until her dark secrets come to light—secrets that could destroy the new life Lanie's only just begun to build.